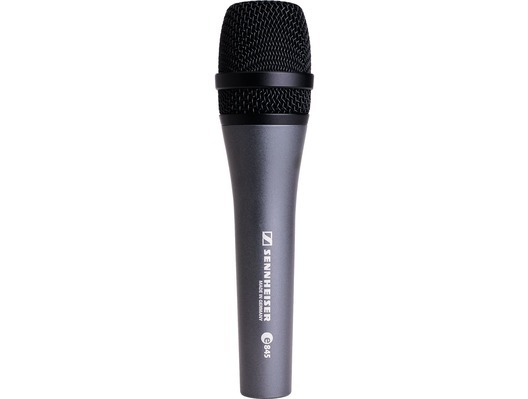 Introducing the Sennheiser E845 high-performance dynamic microphone. 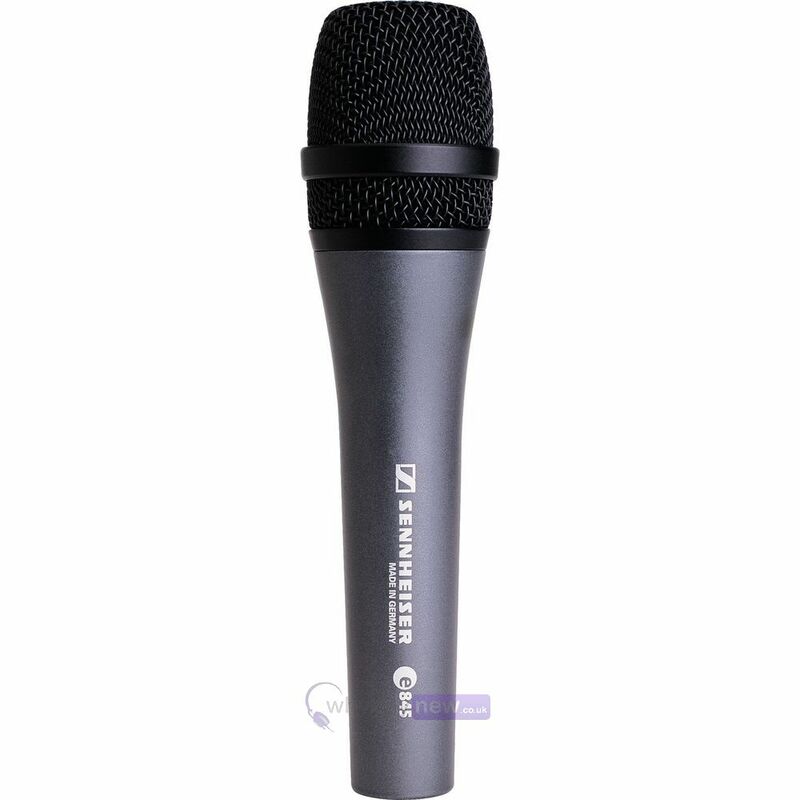 Sennheiser microphones are world-renowned for their superior vocal reproduction and performance in live applications. This series of affordable microphones maintain the same key principles that made Sennheiser an industry standard name and incorportate them into a mic that is accessible to most live performers. Suitable for mobile DJs, solo vocalists, bands and also for speech applications, the E845 features an extended top-end frequency response making it ideal for vocal applications. Maximum focus, enhanced presence: the e845 delivers differences you can hear. Its expanded high frequency range creates space for demanding dynamics with a high signal quality. Vocals become more alive and sound wider and more open - even at different speaking proximities. Designed as a super-cardioid, the e 845 easily eliminates ambient noise. A reliable, easy-to-use companion for presentations, conferences, spoken word performance, choirs as well as rehearsal rooms and on stage. Bought the E845s the one with the on/off switch. Clarity excellent and just what was wanted.